Beau Bridges, Pam Dawber, Joanna Kerns & Kathleen Lloyd. This is the amazing true life story of a man who took love way beyond the boundaries of marriage and family Life. When Dr. Norman Grayson (Beau Bridges) becomes involved with a young nurse, Robyn Phelps (Pam Dawber), his life escalates out of control. Refusing to leave his wife for her, Robyn soon breaks off the relationship. But Norman once again falls for another woman, Katy (Joanna Kerns). However she too wants more than just a romance on the side and threatens to leave him if he doesn’t marry her. When Norman eventually marries Katy and then decides to marry Robyn as well, life takes on a whole new meaning. It’s so bizarre no tabloid could have ever invented it. 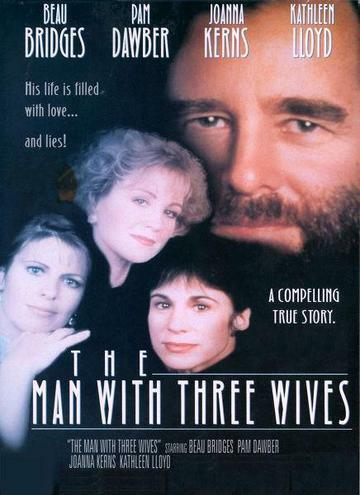 To Purchase The Man With Three Wives Movie Download, please click the "Buy Now" button below.